As a writer it is important to get your name and your work out there in the view of the public. There are many ways to do that but there is one that is free to all writers but seldom used. Since the beginning of our Southern Writers Magazine blog, Suite T we have had 3,219,813 page views and counting. You could have been a guest author blog poster, here are the guidelines. Wouldn’t it be great to have your name and that of your works out here over 3 Million times? Well believe it or not that was possible. If you have missed this opportunity it is available for next 3 Million page views and more. It only takes and little knowledge of the blog and diligence. Here is how it works. At the end of each blog is a bio of the author, an area that says, “If you liked this” then an area for your comments. It is noted by blue ink noting the number of existing comments such as 5 Comments. You simply click on 5 Comments and your opportunity awaits you. After reading the blog share with the author your thoughts and any questions you may have for the author. Questions can open a dialogue and if interested may continue beyond the comment section to emails, text or phone calls. It could be an opportunity to gain a mentor. But let’s remember why you are here, to get your name and your works in lights. Each time you leave a comment, be sure to use a signature. An example would be “John Doe author of XYZ Thriller”. You do not want it too long or cumbersome but you may add any award you have earned such as “John Doe, author of XYZ Thriller and Winner of the Scare me to Death Award”. So with a comment you have announced yourself and possibly opened dialogue with other authors. There are still more opportunities here we need to look into. As a comment is made there is sure to come a reply. Here is another opportunity. Comment on the reply and again add your signature. You showing interest in others opinions could develop a valued relationship. 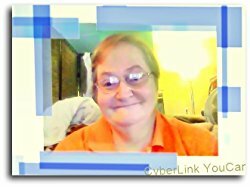 If you will follow the comment and reply you can introduce yourself to many interested readers and authors. So if you had started this when Suite T began you would have over 3 Million opportunities to introduce yourself and works. But remember that is just with us. This practice should be used whenever and wherever you have an opportunity to do so. Start today and we will look for your comment and signature and of course we will reply. 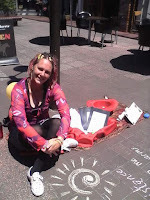 There have been many project developments since my chalk poetry blog, featured in Suite T earlier this year. More people are regularly following my work, both locally and online. Judging competitions for Poetry Planet (a Facebook group) has lead to being published in an anthology, sold online. 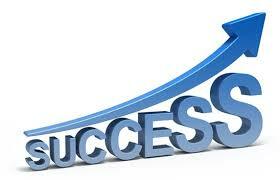 The growing respect, recognition and involvement are forming the foundations for future acclaim. From the very beginning I have maintained the belief and vision that community immersion and providing public access to my poetry is a key towards my pathway to success. The feedback and support offered from local residents has been very humbling. Knowing that my words have a positive impact on people, helps keep self doubt in check. During this year I have run a variety of creative workshops in many different settings. Working with Angela Hill, the manager of Lowe Street Community Arts Centre, voluntary workers and workshop participants, we explored topic themes based on their experiences and life around the drop in centre. Material was generated for the More Than a Thousand Words art exhibition and poetry recital held at the end of August. The workshops have unearthed an array of literacy abilities within the participants which were not apparent until the end stages of the project. 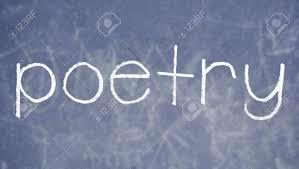 It has also enabled others to develop their creative writing interest and abilities. One of the most rewarding outcomes of this project was witnessing people make their first steps along their journey into a literate world. As part of commemorating NZ Poetry Day this year, I helped organise and host a community event and poetry competition called ‘Kaiti WordBeat’. The intent was to provide opportunities for youth and local residents to share their talent whilst highlighting the positive aspects of our community in a widespread public setting. Business owners and local artists were very generous, donating prizes and their time by participating on the judging panel. It has been very satisfying delivering workshops in schools, including my former secondary school, Lytton High, with a range of different ages and topic areas. 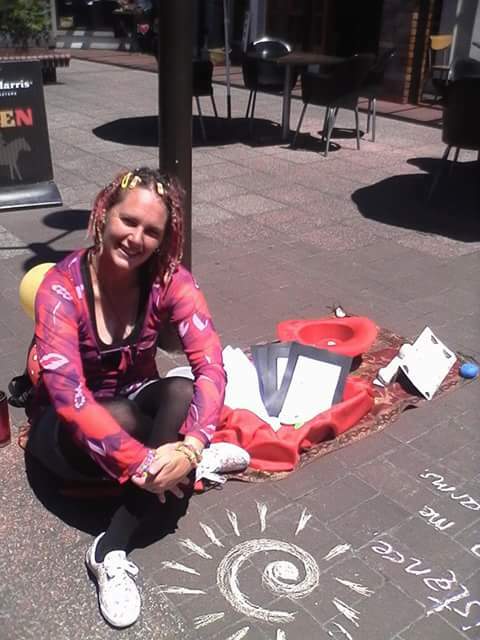 I shared insights about the creative process as a writer by providing examples of my chalk poetry, around the school. Students were also given the opportunity to create their own version of ‘street art’. Children at Gisborne Intermediate (7th and 8th Grade) showed great passion and potential during a long term project resulting in generating and evaluating their own styles of poetry presentation. The future of New Zealand art and poetry is definitely looking promising. "Tired of being picked on? Nobody picks on an ATLAS MAN!" The cartoon accompanying this full-page ad showed a beach bully kicking sand at a skinny fellow (named Mac) and his girl. After confronting and being threatened by the muscle-bound brute, Mac vows to get even some day. 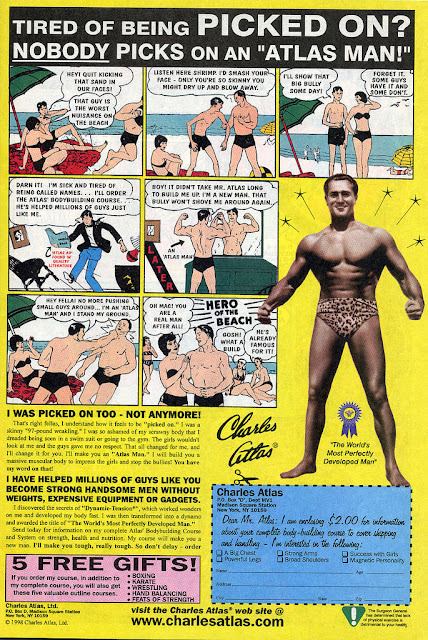 In the next panel, he signs up for Charles Atlas' bodybuilding course, and in the end he becomes the hero of the beach. The word balloons changed over the years, I noticed, so sometimes Mac's girl was sympathetic when he vowed revenge. Other times she said something demeaning like, "Oh, don't let it bother you, little boy." Originally, the cartoon showed the aftermath of a now-powerful Mac knocking the beach bully out. Over time, the advertisement eliminated that panel, probably because it promoted violence. Or maybe Mac punched out his verbally abusive girlfriend off-screen. The point is, in the full version of this miniature morality tale, we are given a definitive "before" and "after". Before, Mac is picked on by a bully. After, the underdog becomes top dog. This classic Atlas ad is a simple but effective example of the full circle readers want in their stories. There has to be a situation that needs resolving, and by the end of the story that situation must be resolved. Without either, there is no sense of accomplishment. A time-tested method is to establish, at the beginning of the story, our hero in his/her current state (their "Ordinary World", as the experts call it). We'll see them going about their normal routine in their normal circumstances so that we understand the status quo. After that, things go topsy-turvy and the hero's world as they know it comes under siege by whatever problems the story dictates. A series of ups and downs follow, until finally there is victory and we are rewarded with a scenario that hearkens us back to the original roots of the hero. This return to the "ordinary world" will clarify the results of what has taken place and show how things—and hopefully the hero—have changed. The hero doesn't physically have to return to their hometown with a parade waiting for them. Sometimes the hero in fact cannot go back to their world, but an early vulnerability that is now a strength is easy to convey. If the character arc has been apparent enough, it may not even be necessary to change a thing. A mere reminder of how things used to be could be sufficient. Perhaps the hero was swimming at the beginning of the story. Toward the end of the story, the hero is swimming again. Same activity, but this time we know they possess a contentment they didn't have the first time. Life itself affords us very few clear-cut befores and afters, so we find fulfillment in those we experience with our fictional friends. Letting readers go full circle with the bookends of an obvious before and after is an easy and effective way to bulk up a skinny story. You know how to write a book. But you feel a little lost. Somehow, your grammar, the style in which your book is written, or something else is eluding you. The presentation of the characters, the way the plots interweave - you're afraid that over time, your writing has become stagnant. You could use a face lift for your writing. You need someone, you say, to help me write a book in other words. Well, your prayers are answered! 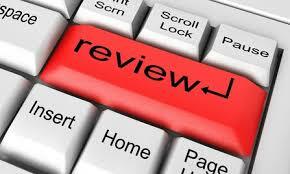 You can simply look up a book ghostwriter or a book editing service on the Internet. But wait, you say. For someone to help me write a book, they need to have the proper skills. What if I accidentally hire a neophyte writer or editor, one who doesn't know how to handle the development of my ideas? What if they only take what I have, and just line edit it? I need thorough content and developmental editing! The right way to approach this is to check out your writer or editor's credentials: statements, samples, references and recommendations coming from your book ghostwriter or book editor. 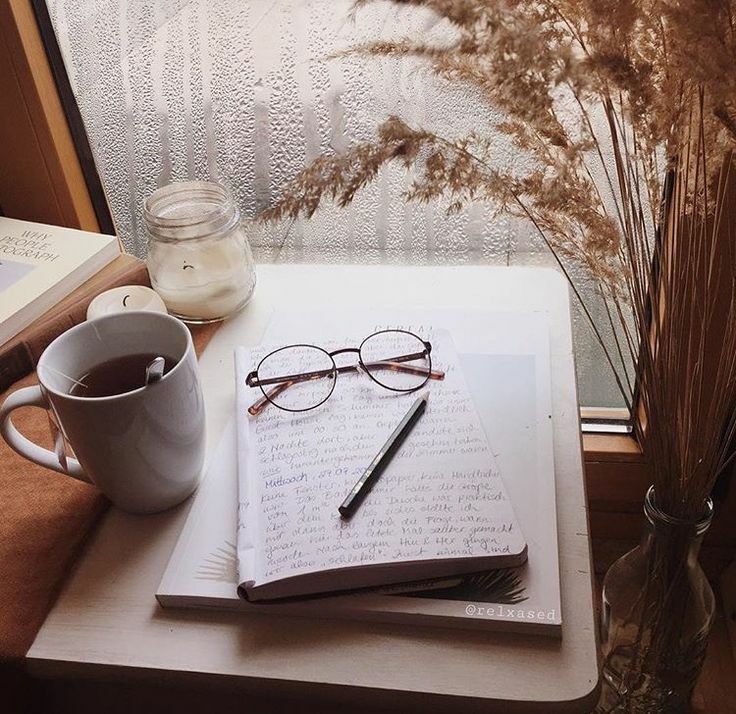 You can also consider hiring the services of a good book coach, if you feel you can write your book yourself - but you just need some professional guidance in exactly how to write or edit it into the final form you feel is needed to get it commercially published. Admittedly, literary agents and publishers frown on incomplete, poorly edited manuscripts, so in any case when you say help me write a book, you are doing the right thing in getting some assistance. Once you have reviewed your potential writer or editor's credentials, you should ask them to create a free five-page sample from your original work. Ask them to keep to your original voice, if this is what you want, when creating the sample edit. This is usually done for free, so that when you say help me write a book, you really mean in the style of your own writing and for less cost as needed. Finally, you should consider whether you need to hire a book ghostwriter or a book editor. The former comes at a great deal of cost, in the tens of thousands of dollars, if you hire a consistent, professional book ghostwriter. The latter is far more cost-effective, especially if you're not sure how well your published book is going to sell. So, consider the services of a capable book coach or book editor, instead of a book ghostwriter. Success! You’ve completed your search for the perfect agent. It’s taken a while, because you’ve been careful to ensure that you’ve chosen the right one, but the search is finally over. Now you’re so excited that the moment you receive the standard contract, you flip to the last page, sign your name, and mail it back. Right move? Nope! The good news is that you have a formal contract. While some agents may work on a handshake agreement, that’s dangerous. You need a written contract, because – if properly written – they ensure that there are no misunderstandings about your relationship and provide protection for both of you. The bad news is that you signed the contract without reading it and understanding every one of the clauses. A contract is written for the benefit of the party that drafted it, in this case the agent. To protect yourself, you need to understand what’s included in the contract. You may also want to negotiate some clauses to make them more beneficial to you. Are you shaking your head and saying, “I’m not a lawyer?” You don’t need to be. What you need to be is careful and sometimes skeptical. To get you started, let’s discuss some of the most important clauses in a typical literary agency contract. What’s Covered – Most contracts ask you to give the agent the authority to negotiate all rights for everything you write. This may be what you want, but it may not. If, for example, you’re like me and write both fiction and non-fiction and already have a relationship with a non-fiction publisher who acquires manuscripts directly from, you might want to grant your agent only the right to negotiate for fiction. Why pay a commission on non-fiction books when you’ve done all the work? Length of Contract – Others may disagree, but I advise you not to sign a contract with a specified length, even if it’s as short as one year. The contract should remain in effect until one of the parties terminates it. (We’ll talk about termination clauses later.) Why is this important? If this agent turns out to be less than perfect, you want to be able to end the relationship quickly. Payment – There are several parts to this. · How much the agent will receive – The contract should clearly outline the commissions the agent will receive. Please note that performing and foreign rights commissions are often higher than the ones for standard print and eBook rights, since sub-agents may be involved. This clause is rarely negotiable. · How quickly the agent will pay you – Some publishers pay the author his or her share directly, but if the total payment is sent to the agent, the contract should specify when you will receive your share. While it’s reasonable for the agent to wait until the funds have cleared before paying you, you should not have to wait more than ten days for payment and a full accounting. That full accounting is important, because while most agents are honest, there are always exceptions. If you feel that you’re being cheated, you can request accounting statements directly from your publisher and compare them to the ones your agent has provided. · What expenses you will pay – In general, agents are responsible for all normal expenses of running their offices. Some may expect you to pay the costs of copying and mailing manuscripts, and others may charge you an annual administrative fee. This is often negotiable. The most important thing is to be aware of what expenses you may incur and to have the ability to approve extraordinary expenses, such as paying a courier to hand-deliver a manuscript to Europe, prior to their being incurred. This is one area where surprises are rarely good. Termination – While no one enters into a relationship with an agent planning to terminate it, you may need to change agents. That’s why this clause is so important. Like the money-related clauses, there are several aspects to it. · Notice period – Thirty days’ notice is typical. If the agent asks for a longer period, I’d question the reason. · Delivery method – How is the termination notice to be delivered? Registered mail used to be standard, but regular mail may be permissible. Phone calls and email are not acceptable methods of terminating a contract. 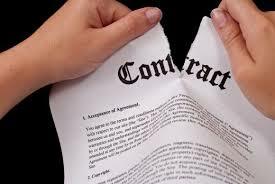 Like the contract itself, the termination notice should be written and signed. · Handling of works already submitted – While the contract itself may be terminated within thirty days, most termination clauses specify that the agent will receive the standard commission for any works previously submitted to a publisher if you sell them within a period of up to six months following termination. Why? Just as there are some less-than-honest agents, there are some less-than-honorable clients. This clause protects the agent from a client who terminates a contract right before a deal is ready to be negotiated, hoping to avoid paying a commission. Other important clauses include dispute resolution and the specific services the agent will provide. Rather than turn this post into something rivaling War and Peace for length, I’m going to forgo an explanation of them, but I will remind you that it’s critical to read and understand each clause. If you have questions, leave a comment, and I’ll give you my opinion. Another approach is to ask your prospective agent to explain what the clause means and why it’s important. If the answers aren’t satisfactory, that could be a sign that this is not the right agent for you. The bottom line is that agents work for you and that a good contract provides the foundation for a good relationship. This past weekend, I was racking my brain to write something appropriate for the Thanksgiving blog. Scrolling through Facebook often gives me something of inspirational interest to writers and our blog readers. I ran across author, Sue Cox's, “Thanksgiving with Strangers” blog post on Facebook. Her blog post resonated with me especially this year. This year, my husband and I experienced becoming total empty-nesters, a very different experience. Our children are pursuing degrees and careers in states far from home. Thanksgiving is our family’s favorite holiday. It’s a time we all come together and unplug from electronics to enjoy being with each other. This year, our adult children will be seated again at our dining room table. It’s an exciting time for us all. We will reconnect and catch-up. As they travel to our home, I have to wonder how the “kindness of many strangers” may play on their journeys. Life is full of these opportunities. We just don’t tend to see them unless, like Sue, we assess a certain event. As writers, we all have a lot of success from those who are complete strangers. Most writers who author a book have a page of “Thanksgiving,” that lists a dedication and thanks to those who helped them in the process of writing a book. Those people mentioned are clearly not strangers. 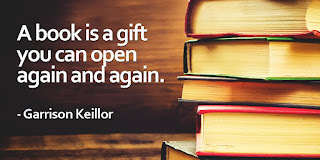 However, an author’s success often depends on the “kindness of many strangers.” These strangers include the readers who read your book and leave a positive review; the bloggers, Facebook and Twitter users, who give you a shout out about your book; the fans you never knew you had, but they recommended your book to their book club. This Thanksgiving, enjoy your friends and family around the dining room table, but be ever thankful for the “Kindness of Many Strangers” who help you and your writing be a success. 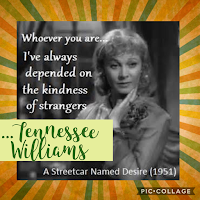 As playwright, Tennessee Williams authored in A Streetcar Named Desire, for his character Blanche DuBois, "Whoever you are I've always depended on the kindness of strangers." How true. Happy Thanksgiving, 2017, y’all. 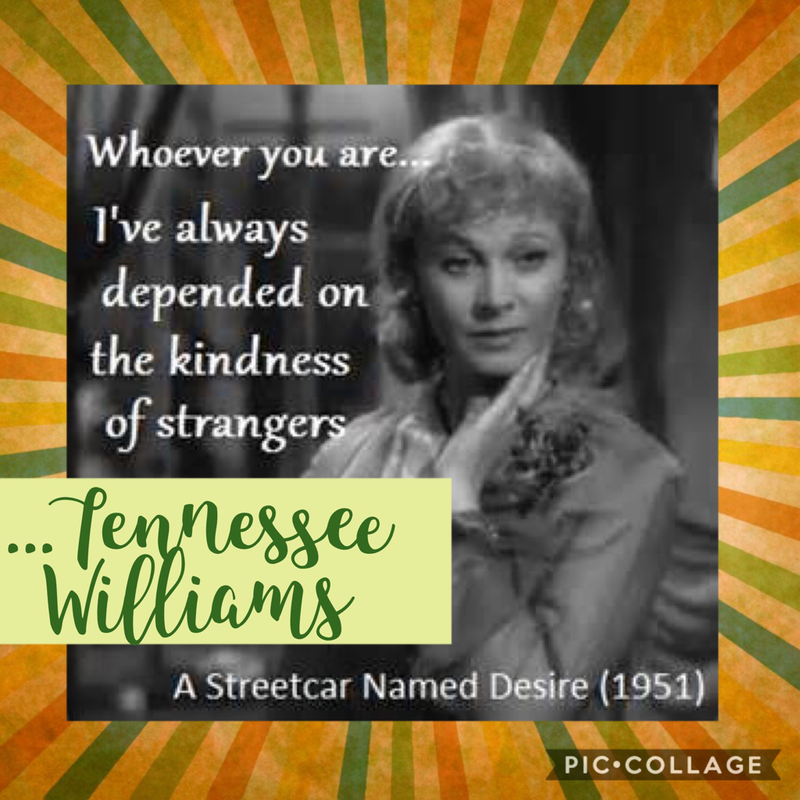 I’d love to hear any “Kindness of Many Strangers” stories you might have had with your writing journey. The 1910 race to be the first to reach the South Pole is a fascinating, tragic, and profound story. Roald Amundsen, a Norwegian, and Robert Falcon Scott, an English explorer, started at separate points on Antarctica. The weather conditions were the same for both teams, though their methods to reach the Pole were radically different. And so were their results. 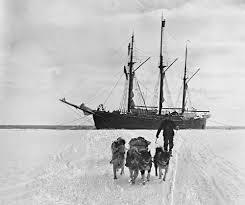 Scott’s large team used a variety of animals for hauling; Amundsen’s team had five men and used only dogs to haul. Scott gathered scientific information about Antarctica, Amundsen had only one mission on his mind: to reach the Pole first. Scott took over 2,000 photographs, Amundsen took ten, and only after he reached the Pole. Scott took advantage of beneficial weather to make greater daily gains, Amundsen’s team marched 15-20 miles per day and then stopped, no matter the weather conditions. Scott pushed his team over ten hours per day when weather was good, but rested in their tents on stormy days. Amundsen stopped his team after five hours, insisting on rest and recuperation for his team. Scott, one might think, would have been the first to summit. Yet Amundsen reached the South Pole first, stuck in his flag, and set off on a successful return journey. Two weeks later, Scott finally arrived at the Pole, exhausted, discouraged, resources depleted. On the return trip, his team died of starvation and exposure. To heighten the tragedy of their death, they died within fifteen miles of a cache of food. Mindful of oversimplifying Amundsen’s “20 Mile March” concept, and not to dismiss Scott’s heroic efforts, there is much to learn from these two explorers. Amundsen, in particular. To reach a goal requires faithful, consistent discipline, but it also requires rest and recuperation. As a writer of multiple books, I’ve adopted the 20 Mile March method and have found it to be the very best way to write a book. The very best way. My writing schedule is rather rigorous: I write three books a year. I’m up early in the morning. After coffee and Bible study, my first goal is to reach my daily word count. No matter what. When I reach it, I stop. 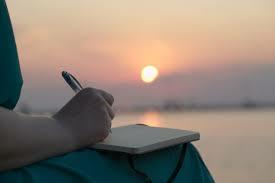 Doing so allows me to step away from the computer, protects my hands from dreaded repetitive wear, provides margin for a sick day or unexpected circumstances, and gives my mind time to think and plot without stress. It helps me have balance in my life, and leaves energy for my other responsibilities. Using this method, I do finish manuscripts, slowly, steadily and well ahead of the deadline. There’s no easy short cut to reach a difficult goal, but Amundsen’s South Pole expedition showed us a way to increase the odds for success and make it to that finish line (completing a manuscript! ), whole and healthy. What Gift Would You Recommend? Wouldn’t you love to do that for the people you love and care about? I know when I begin reading a book, I slide into the world the author has created, it’s as if I am sitting there watching a movie. I don’t think about anything going on around me. Even if you talked to me, odds are I never looked up just grunted and doubtful I heard what you said. 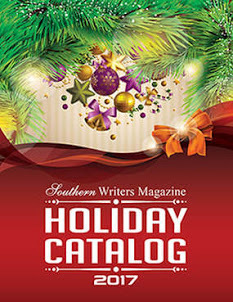 Here is the link to Southern Writers Magazine's Holiday Catalog. I am sure you agree it’s cheaper to buy the book, than the world. There are worlds inside of books the authors have created. I remember as a youngster, reading, and being transported into another country, another time period; I met people in these worlds that didn’t exist in mine. I would rather sit and read a book, than do almost anything, other than writing. Goodwill or give to other people the majority of my books. They remind me I’ve already read the books; some I’ve had for 40 or 50 years. Well, what can I say? I love my books. Yes, I’ve read them all, but lots of times, I go back and reread them. I justify my keeping them by letting them know one of these days I will retire and I will be able to reread them again. But perhaps one of the reasons is as Garrison Keillor said. Maybe I keep them because it feels like a gift waiting for me to open it again. These are some of the reasons I think giving books as gifts is important. What about you? 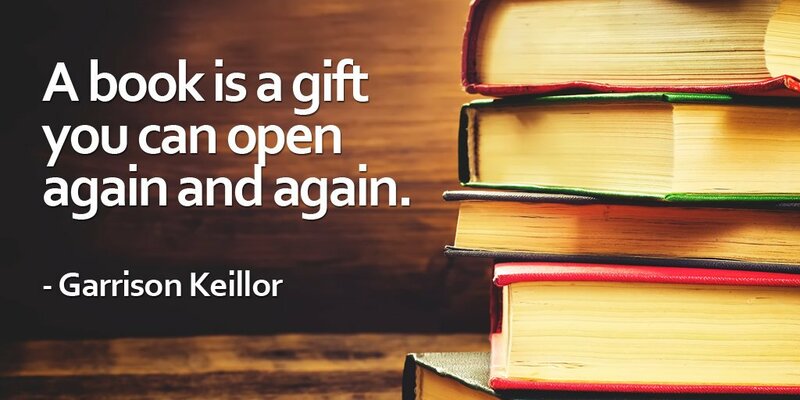 What are some reasons you think giving books is important? Labels: Alan Bennett, Charlotte Ahlin, Editor-in-Chief for Southern Writers Magazine, Garrison Keillor, Susan Reichert, What Gift Would You Recommend? 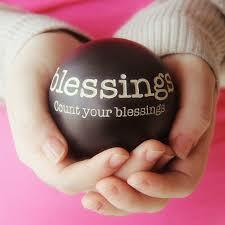 It’s nearly Thanksgiving and I’m counting life’s blessings. 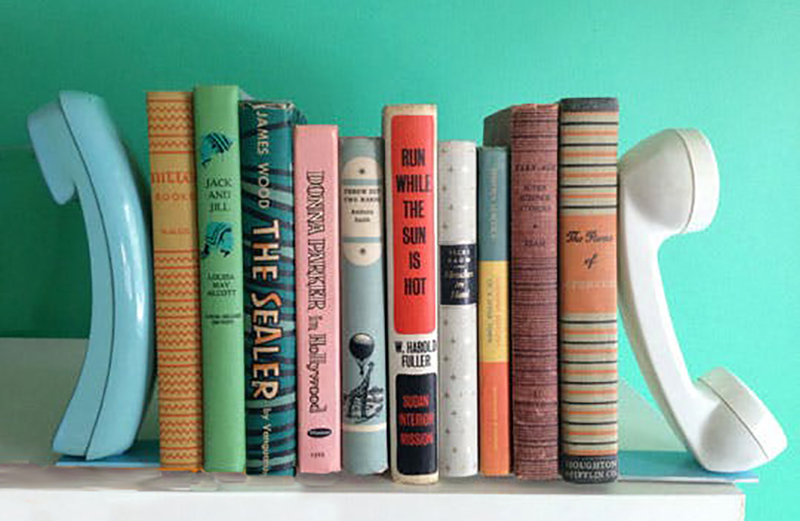 One of the greatest is books, and a family that devours them. We’ve read many classics both alone and aloud. Through books, I met mentors for life. Sad to say, some of those great books are no longer popular. Is it the language, the style that creates obstacles for modern readers? Is it that those books are no longer sitting on end caps in brick-and-mortar stores, and room must be made for the push of new books each month online? I understand the short shelf life of books . . . after all, I’m a twenty-first-century author. But some books bear passing, like torches—setting aflame significant thoughts and ideas for a new generation. That’s the motivating force behind highlighting Christian classics in my novels—bringing stories of enduring value and the impassioned writers who penned them to new readers. For example, the Christian’s life journey—its purpose, its pitfalls, its keys to eternal success—is painted in The Pilgrim’s Progress, a seventeenth-century book that was second only to the Bible for generations. John Bunyan’s book is featured as a companion in my novel Promise Me This, a Titanic-through-WWI love story that shows Christ’s sacrificial love for us and our response to that unmerited gift. The importance and implications of asking ourselves, “What would Jesus do?” in every situation of life is the premise of Charles Sheldon’s nineteenth-century novel, In His Steps. This burning question is repeated by a group of women facing the perils of human trafficking and taking responsibility for sister victims in my book Band of Sisters, which takes place in the era of Ellis Island and the Triangle Shirtwaist Factory fire. Dietrich Bonhoeffer’s TheCost of Discipleship, written before his imprisonment and execution during WWII, contrasts cheap grace and costly grace—the grace Jesus gave to rescue and redeem us. Bonhoeffer, as a cameo character, challenges an American journalist and the woman he falls for in Saving Amelie, where taking a stand for those most vulnerable in Nazi Germany means laying your life on the line. Corrie ten Boom’s Christ-driven forgiveness of Nazi murderers—even though her sister was one of their victims (revealed in her book The Hiding Place)—was inspiration for characters facing the unthinkable in their own war-torn family in Secrets She Kept. The challenge of believing Jesus loves us, died for us, and means for us to spend eternity with Him is brought home through a letter from C. S. Lewis (based on his writings) to my protagonist in Until We Find Home, a WWII Lake District story of embracing refugees, to be released in January. There’s little we can give this world that will make a difference fifty years from now. But, if through our writing we share books that have helped us, changed us, we will have shared the rich legacy we’ve received—and a springboard for the faith of a new generation. I can’t think of better Christmas gifts for those we love. Three-time Christy and two-time Carol and INSPY Award–winning author Cathy Gohlke writes novels steeped with inspirational lessons from history. Her stories reveal how people break the chains that bind them and triumph over adversity through faith. 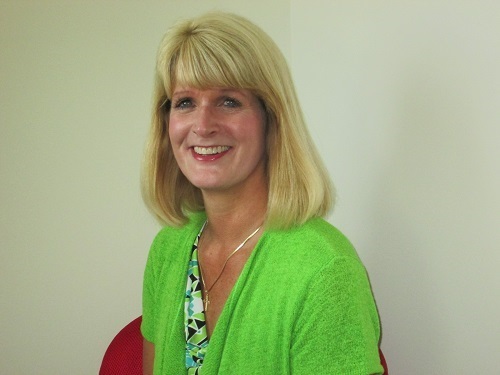 When not traveling to historic sites for research, she, her husband, and their dog, Reilly, divide their time between northern Virginia and the Jersey Shore, enjoying time with their grown children and grandchildren. 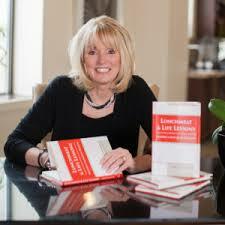 Visit her website at www.cathygohlke.com and find her on Facebook at CathyGohlkeBooks. Have you ever tried something over and over, only to get the same result? In 2013, I was on a mission to sell a sweet romance short story to Woman’s World magazine. During that first year, I wrote, submitted and received multiple rejections. Every week I bought a copy of the magazine, located near the cash register of every major grocery store chain. I’d tear out the story, three-hole punch it and place it in my notebook. Week after week, I studied and dissected each story. I discovered an obvious formula to writing these stories and I was determined to crack it. 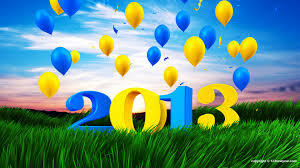 Years passed and I continued to submit my stories. During that time, I wrote a book published this year by Harlequin Love Inspired. As the rejections from Woman’s World mounted, I couldn’t figure out what my stories were missing. While writing my first book and those that followed, my sweet mother would periodically ask me, “Am I in your story?” At first, I laughed telling her, “Not this time.” Then it hit me. Why wasn’t she? On a rainy Saturday, I sat at the kitchen table and wrote my mother’s story, loosely based on when she met my father. 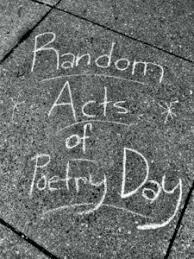 Something magical stirred in my heart and the words flew on the page. In two hours, “Test Drive for Love” was written, starring Nell and Charles, my parents. The next day, I submitted the story. Ten days later, I received an email from the editor, Woman’s World wanted to buy my story. To say I was overwhelmed with emotion would be an understatement, but it wasn’t just because of the sale. Of course, that was great, but the fact that they wanted to share my mother’s story with a circulation of over 1.5 million readers told me those years of waiting had a purpose. Share a time when you didn’t take “no” for an answer. Mary B. Lucas, B.D was one of 10 children born to the Bichelmeyer family. Her mother was Mary and her father John Bichelmeyer was a butcher and owner of Bichelmeyer Meat Company in Kansas City. Mary described her mother as “the only person that can have 10 children and each one have all her love”. Her father, a man with only an 8th grade education, was a successful business man and full of wisdom which he shared with his family and others. Although Mary has a B.S. in Journalism and Mass Communication from Kansas State University she feels nothing can compare with the letters, B.D. for Butcher’s Daughter, he father bestowed upon her. She earned her B.D. by spending hours seated at the family’s butcher block table in her mother’s kitchen listening to her father’s life lessons while sharing her father’s lunchmeat. I was fortunate to hear Mary, a self-proclaimed “Intentional Communicator”, share her father’s life lessons with a group at a business meeting in Kansas City recently. Here are some examples you will find in her book. “If you don’t like somebody they don’t like you.” Find the like, find something about them to like. Make a lasting impression with the “comeback sauce”. Pour some comeback sauce on everyone you meet. Give them a little something extra whether it is a bonus amount of ground beef, exceptional service or showing interest in their family. Keep them coming back. Mary has done a great job sharing her family life and father’s wisdom with us all. It was from the heart and not only shared the joys of their lives but also the heartbreaks and sorrows. She shares how the family dealt with them as well. I felt fortunate to have heard her and had an opportunity to meet her afterwards. 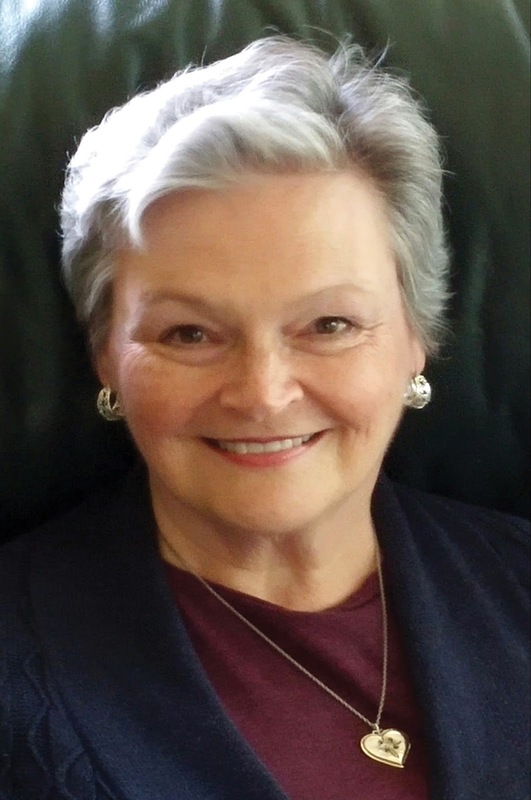 Mary B. Lucas, B.D. not only shared her family story with us and gave us some valuable life lessons passed on from her father but she also has presented her book as an opportunity to put these lessons into play in your life. “Notes to Readers” provides a space to brainstorm where you may apply these lessons. Mary also has a great list of topics for Neighborhood Book Club discussions and another for Professional Group Discussions. In Lunchmeat and Life Lessons Mary has indeed connected the rest of the world to her father’s wisdom. 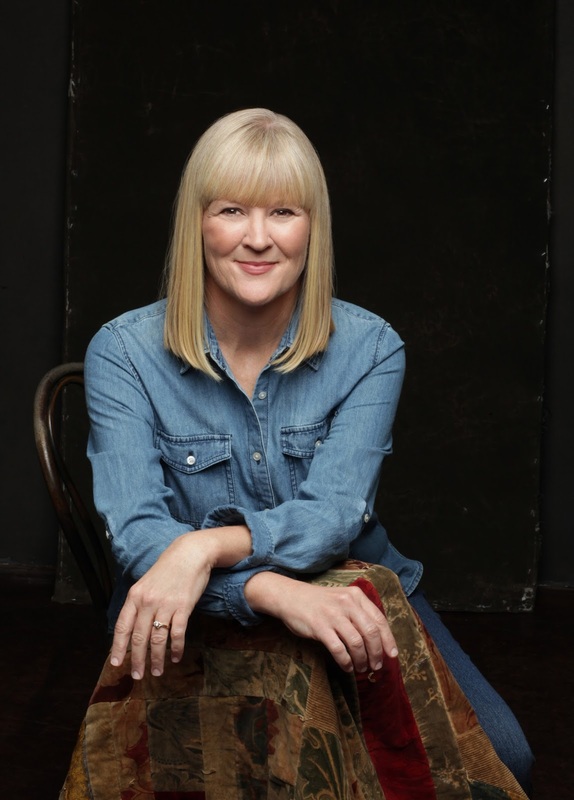 In doing so she asked her readers to share their life lessons from their family and how they may have applied the Butcher’s Wisdom in their lives. In doing so you too may be inspired to write about your family’s love and wisdom and share it with the world. What Makes a Good Book Great? Are you too Late to NaNoWriMo2017?